Do you enjoy watching videos on your device running Windows 8.1? Do you hate when you can not watch videos or listen to music, because your Tablet PC does not support one or the other format video or audio? 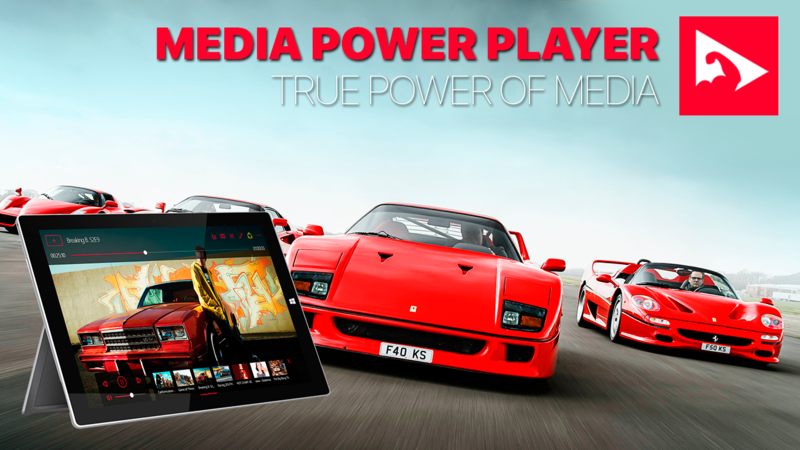 That’s why we created the Media Power Player! Media Power Player can play more than 300 formats of audio and video files, such as AVI, MKV, FLV, VOB, WAV, WM, MP4, MP3, WAVE and still many others without any problems. Forget about all problems of media playback!